After collaborating on a product as complex as a digital watch, a pen seems rather simple — but Marc Newson brought his signature elegance to the Montblanc M Pen, anyway. Like many of his designs, the M lacks any sharp edges, instead featuring a circular body made from polished black resin that has a plateau on the closed end for added comfort. The cap is automatically aligned with the plateau using magnets and secures with a standard snap mechanism, the clip is plated with platinum and has no visible mounting points, and the nib is made from gold and finished with rhodium and ruthenium. 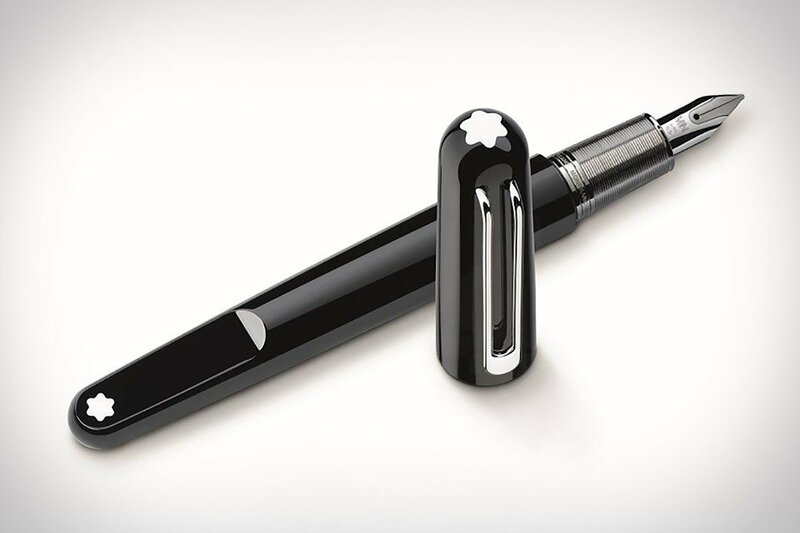 Available as a fountain pen, rollerball, ballpoint, fineliner, and tablet-friendly screenwriter.After collaborating on a product as complex as a digital watch, a pen seems rather simple — but Marc Newson brought his signature elegance to the Montblanc M Pen, anyway. Like many of his designs, the M lacks any sharp edges, instead featuring a circular body made from polished black resin that has a plateau on the closed end for added comfort. The cap is automatically aligned with the plateau using magnets and secures with a standard snap mechanism, the clip is plated with platinum and has no visible mounting points, and the nib is made from gold and finished with rhodium and ruthenium. Available as a fountain pen, rollerball, ballpoint, fineliner, and tablet-friendly screenwriter.